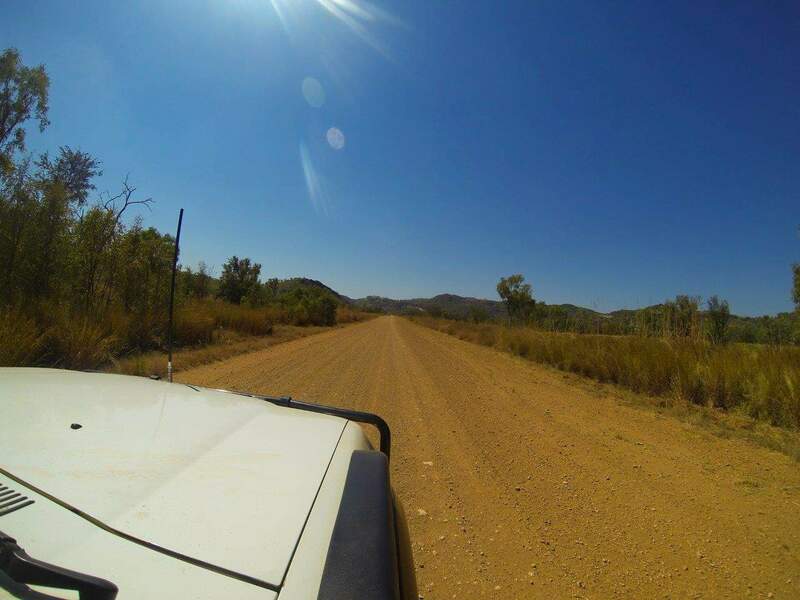 The Gibb River Road is the adventure of a lifetime, and starts with Tunnel Creek and Windjana Gorge. 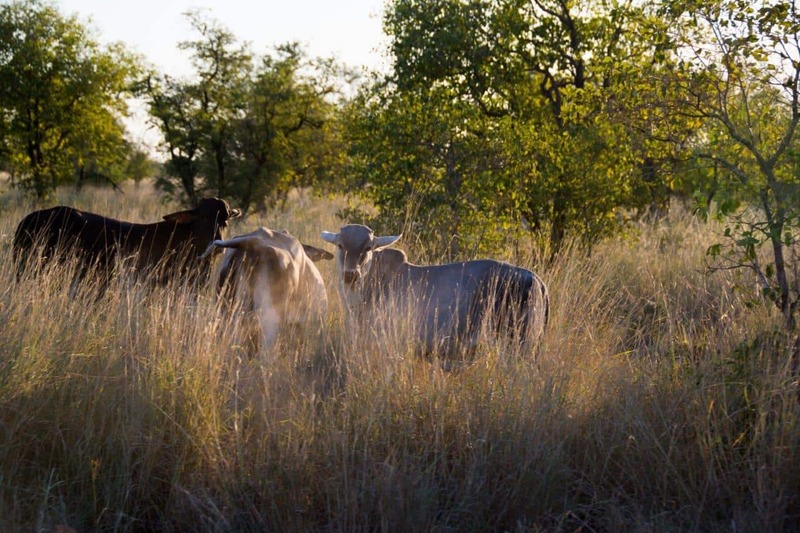 These are just an entree to the rest of the Gibb River Road, and will have you drooling for more. Both of these locations are within 40 minutes of each other (road condition dependant), and are well worth the visit. 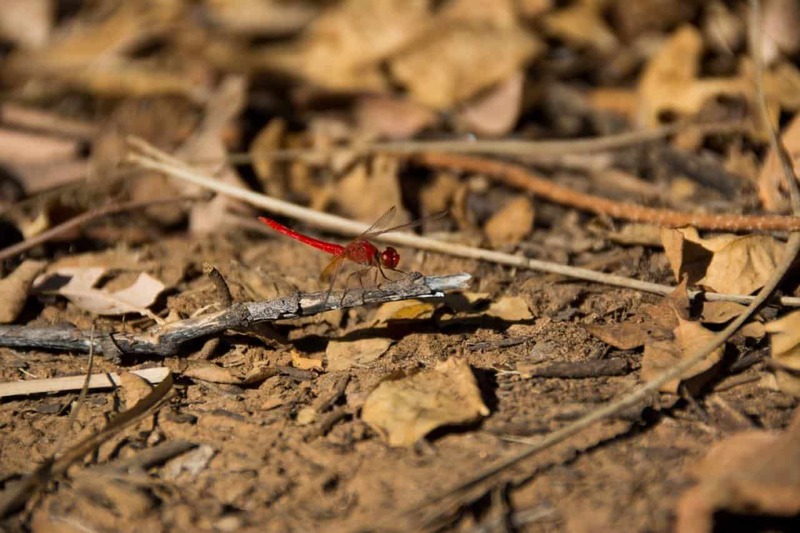 Keen to know more about the Kimberley, and the Gibb River Road? We have you covered, with information on where to go, places to camp, where to get fuel and water, what tours are worth doing, itineraries and costs. Check out the Ultimate guide to the Kimberley. Windjana Gorge and Tunnel Creek can be accessed off the Gibb River Road from either direction, or off the Great Northern Highway heading north along Leopold Downs Road. It’s roughly 70km from the Great Northern Highway to Tunnel Creek, 35km from the Gibb River Road to Windjana and 33km between Windjana and Tunnel Creek. 2WD vehicles are able to visit, but if you care about your car I wouldn’t be taking it in there. When the roads are good you wont have an issue, but I personally don’t think its worth the risk. 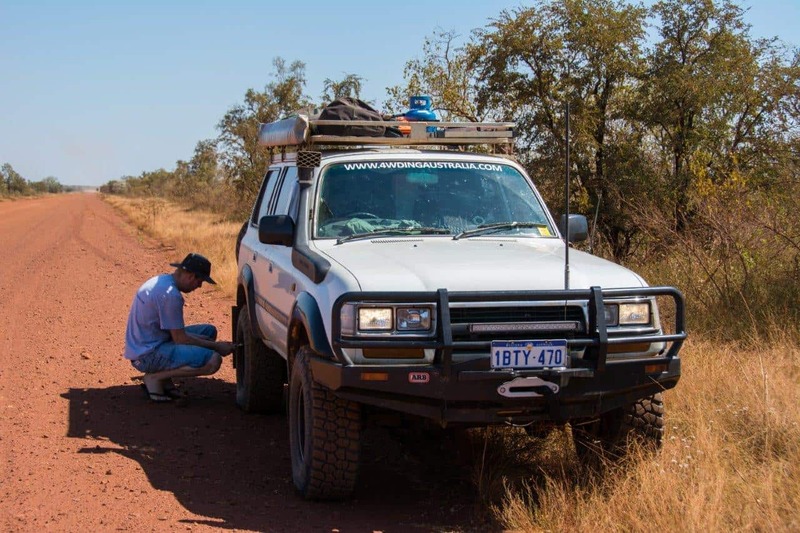 You do see some pretty average vehicles out there driven by backpackers and those on a budget adventure, but the roads can be terrible and can easily do damage to your 2WD vehicle. As both of these are National Parks, you need to get a pass to enter, which you can do on your way in, or get a 4 week pass, or annual pass from the DPAW before you leave. If you are on a tour this should be included. 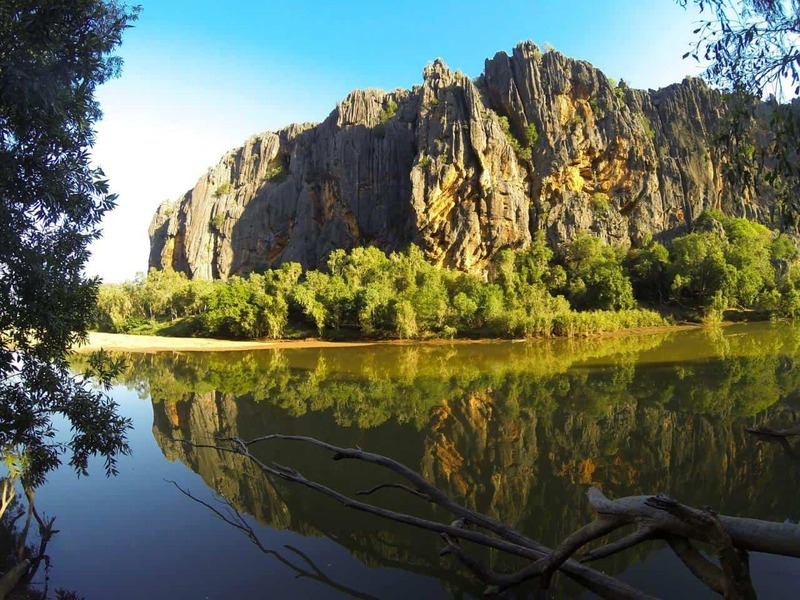 Both Tunnel Creek and Windjana Gorge are spectacular locations in terms of their natural beauty. You have the opportunity to walk through the area and enjoy scenery that is absolutely mind boggling. Fresh water crocodiles are abundant, along with a huge variety of other animals and plants. 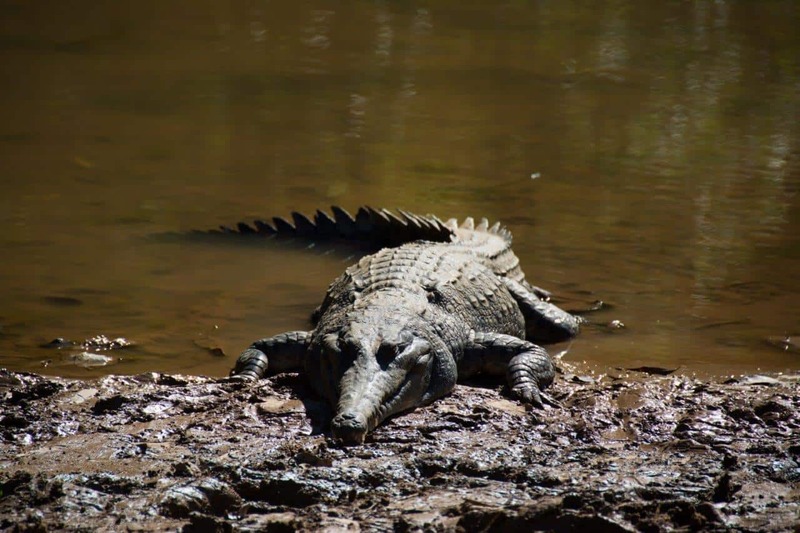 For someone who’d never had much to do with Croc’s, we were keen to see what was advised, along with what the locals thought about crocodiles. Windjana Gorge is one of the best places in WA to see fresh water crocodiles; they sit in the water and along the banks in huge numbers and don’t move much at all. Fresh water crocodiles are completely harmless, providing you respect the fact they are wild animals and leave them alone. They are generally small – in between a metre and 3 metres at the most. There have been a couple of attacks from fresh water crocodiles, but only when people have done the wrong thing. You can walk within 5 metres of them and have no issues at all; even when you get closer they will turn and swim off. However, they are wild animals, and they will badly hurt you if you are stupid; so enjoy the natural beauty and leave them alone. 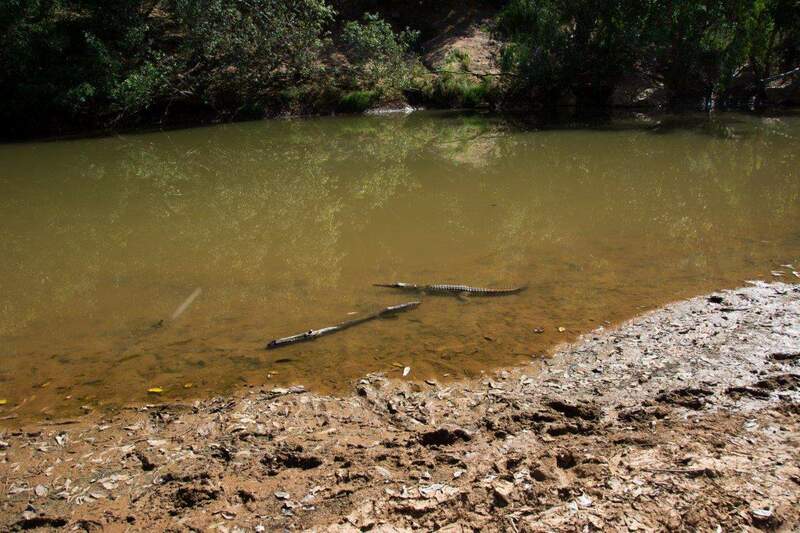 There are a couple of fresh water crocodiles that live inside Tunnel Creek; you can see their red eyes with the torches, and they move long before you get anywhere near them. There is absolutely no reason to be concerned about fresh water crocodiles if you are doing the right thing and leaving them alone. Salt water crocodiles on the other hand are completely the opposite; you don’t want to be anywhere near one if you can avoid it. They are aggressive, grow to up to 6 metres long and will not hesitate to have a go at you. 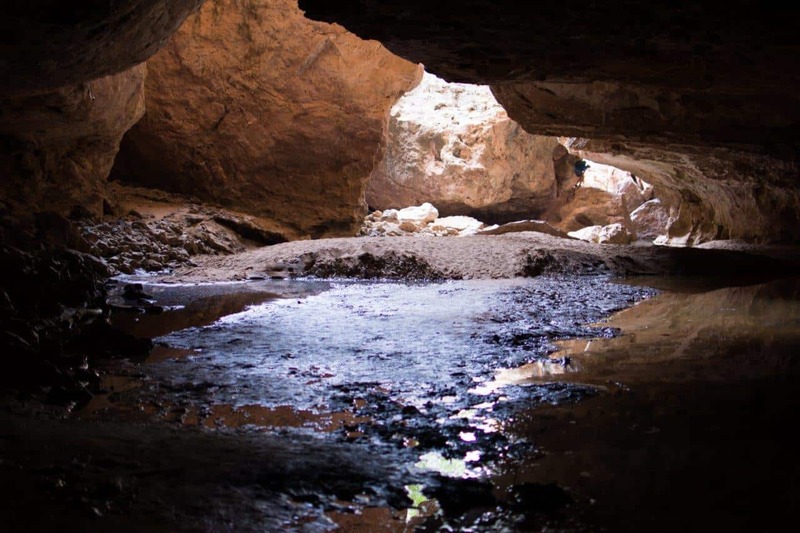 Thankfully, they are only found in a couple of places along the Gibb River Road, and Windjana and Tunnel creek are not one of them (just yet!). A good mate of mine visited the Kimberley for the first time a few years back, and was walking down to Windjana Gorge with his towel over his shoulder, keen to have a dip. He couldn’t work out why everyone was giving him strange looks – you can’t swim at Tunnel Creek or Windjana Gorge, so leave your bathers and towels at camp! 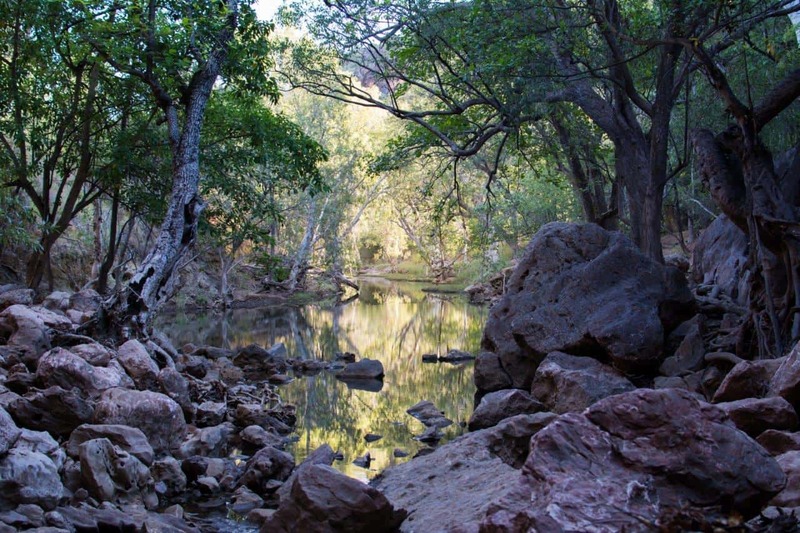 Windjana Gorge is an ancient reef system, carved out by the Lennard River. The Gorge itself is over 3km long, and has walls up to 300 metres tall. 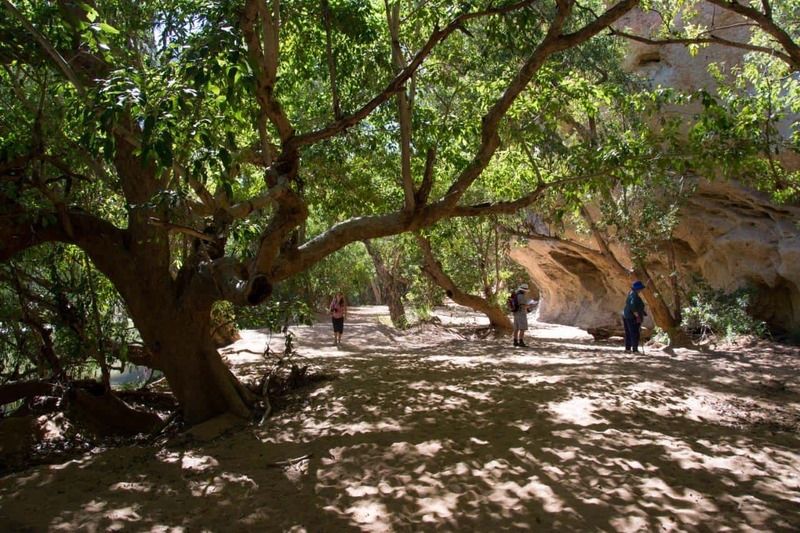 It’s a short walk from the day use area and camp grounds to the entrance of Windjana Gorge, and is relatively easy. There are a couple of little ups and downs, but this is one of the easiest Gorges to get into on the Gibb River road. Many elderly people are able to get into the Gorge without too much difficulty. When you enter the gorge, you go through a gap in between two rocks, and come out in a sandy area with a fair bit of shade. Keep walking along the edge of the river, and it opens up where you can see a heap of crocodiles sitting along the bank. You can keep walking along the river and eventually end up on a dry river bed. As the sun goes down, bats take off and the crocodiles will have a feast. 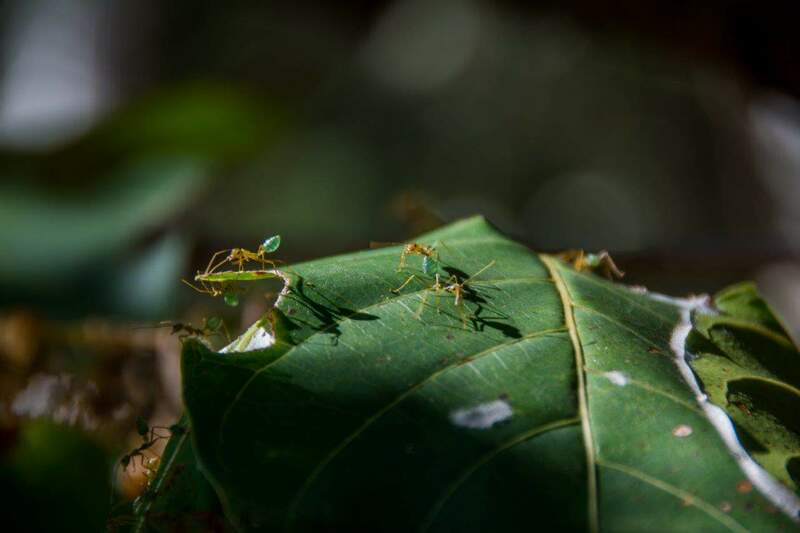 Take your time looking around; you’ll see incredible insects, bugs, birds and plants. Being the first gorge we visited along the Gibb River Road, we thought it’d be a good idea to do the full walk, which goes for several hours along the river. It’s a nice walk, but it quite literally comes to a dead end with nothing there, but a sign saying turn around! We felt a bit ripped off, with no information telling us otherwise! We did however, have a great time looking at everything along the way. Tunnel Creek is pretty much as the name suggests; a giant 750m tunnel that you can walk through, with a creek flowing through the middle of it. The cave has collapsed in the middle, where light is let through. The cave became well known in the late 1800’s, after an Aboriginal leader and outlaw used it as his hideout from the local police. He was eventually killed in front of it in 1897 by an Aboriginal tracker. It is a spectacular place to visit, and with the right gear you’ll have a blast. 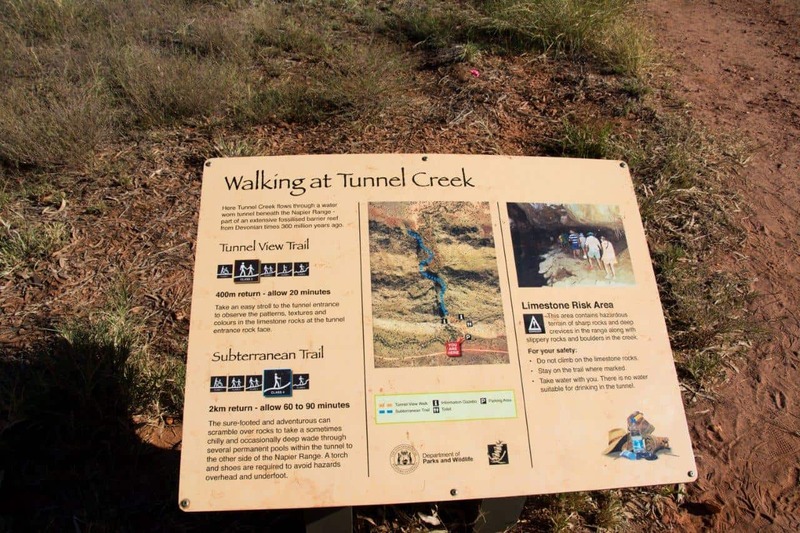 Tunnel Creek is not the easiest place to access along the Gibb River Road. That said, with a bit of caution you will be fine. A decent head torch and some old shoes, sandals or booties are an absolute must. You can get away with a normal torch, but its handy and much safer if you have access to both hands! 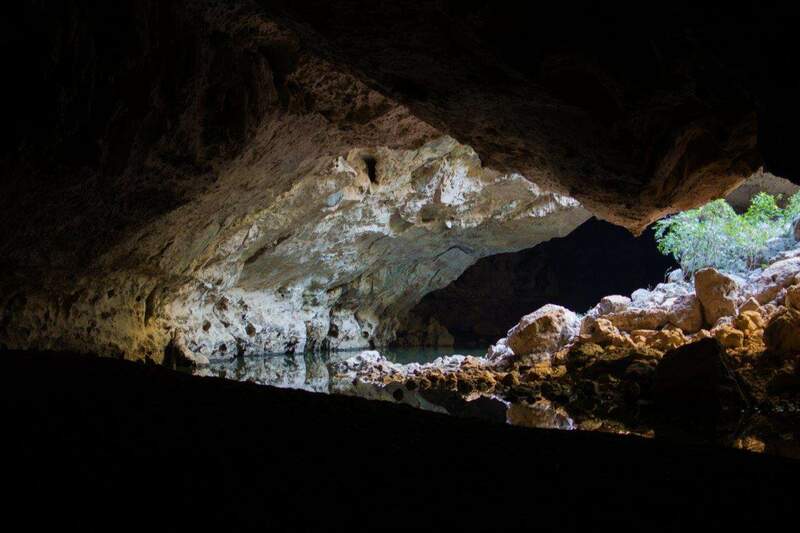 You have to climb over a rock to get down into the tunnel, and you will walk through water that is up to about waist height depending on when you go. In May 2015, we didn’t have water much over knee height. The tunnel is roughly 15 metres wide in most places, and is relatively easy to walk through as long as you take it easy. You’ll see the collapsed bit in the middle, and end up at the creek opening at the end, where you turn around and walk back. Take some snacks and water, and you can sit and relax before heading out. 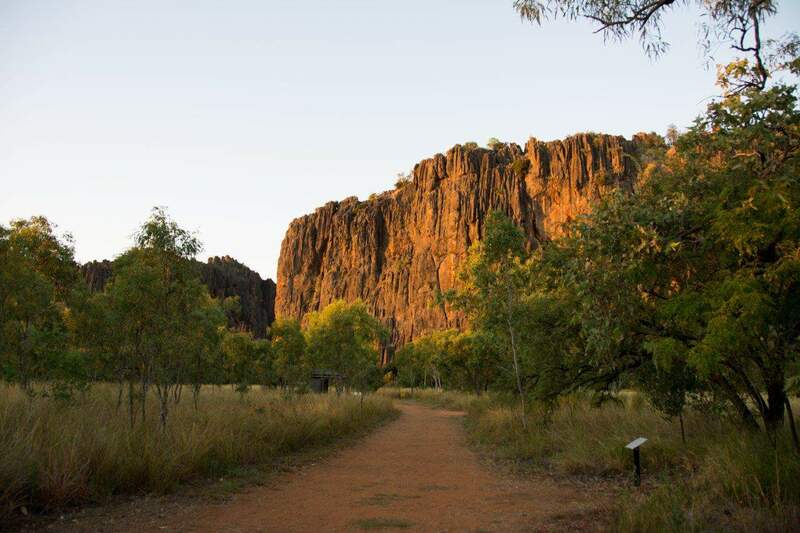 You’d be pushing to see both Windjana Gorge and Tunnel Creek properly in one day and then head out to another camp site. 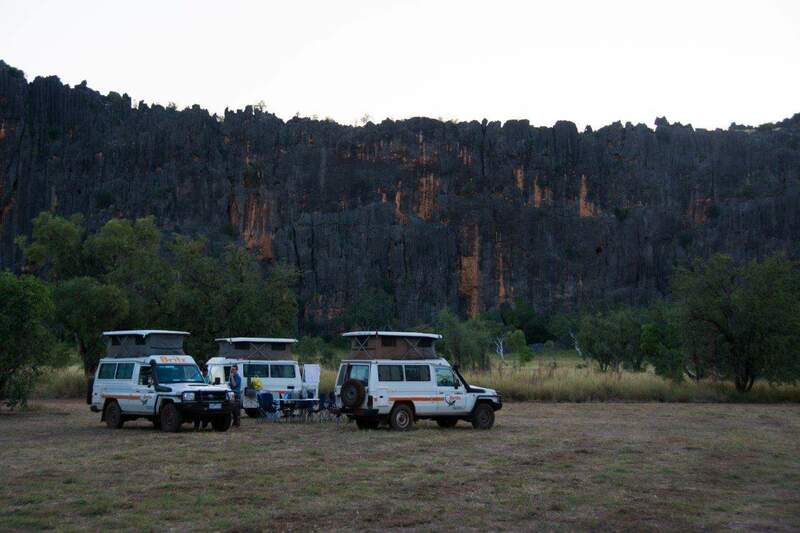 The offical DPAW campsite is at Windjana Gorge, and has warm showers and flushing toilets. It’s $12.50 per person per night, and worth every cent. Watching the sun go down over the cliffs is truly spectacular. 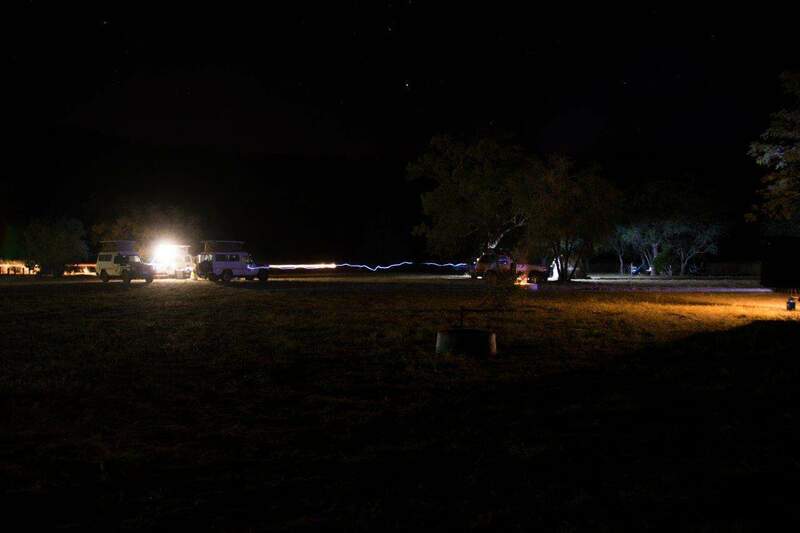 Alternatively, some people free camp on the corner of the Gibb River Road and Windjana Gorge Road, or you can head out south from Tunnel Creek (off the Gibb River Road), and free camp in a couple of locations. We arrived at Windjana in morning, set up camp and then headed to Tunnel Creek in the afternoon. We had a quick wander into Windjana that evening, and did the gorge properly early in the morning before heading to Silent Grove for Bell Gorge. One key bit of advice in the Kimberley is to get up early. If you can get into the Gorge by 7AM, you may even have it to yourself, which makes it much more enjoyable. It also means the temperature is cooler, and you can head back to camp and relax when it gets warmer. If you want other amazing places to check out, look at Bell Gorge, Mornington Wilderness Camp and Mitchell Falls. 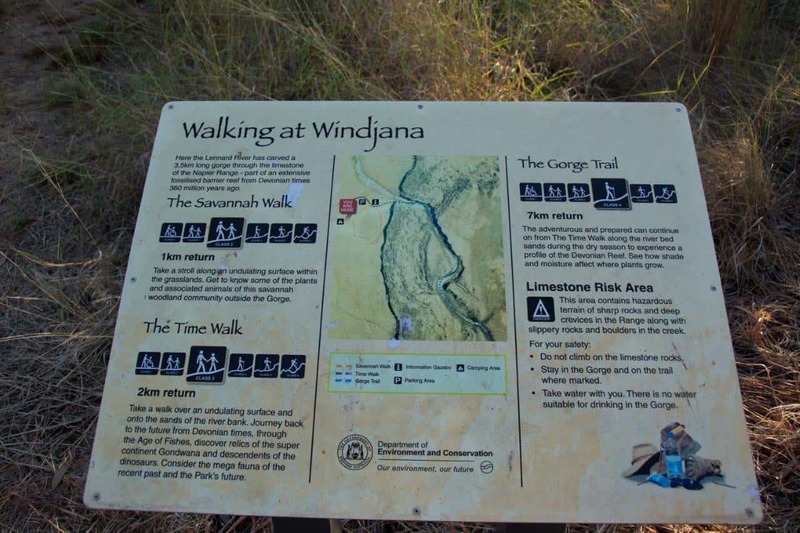 Have you been to Windjana or Tunnel Creek? What did you think of it? Are you going this year? Is there anything else you’d like to know? Thanks for the tips. We’re staying in Derby & you’ve given us motivation to do a day trip (tomorrow) to Windjana & Tunnel Creek. Not keen on taking our van on the GRR, so this sounds like a great option, in our Land Cruiser. ? We went to Windjana Gorge & Tunnel Creek yesterday (1st Sep 18) from Derby. The GRR is being bitumenised, so the drive is very easy & better suited to 2wd cars; however once you leave the Gibb it’s still a little rough, with a few dips between the two sites. Having read your views, and tips, on Cape Leveque we’ve also booked a few nights of camping up there, will leave the van in Broome for that one. Great to hear. Cape Leveque is amazing – totally different spin on the Kimberley. Where are you going to stay?